SPETORING® RM 1 is a basic solution for application where the space between flanges is limited. Widely met as per DIN 2695 standard 4mm thick rings. 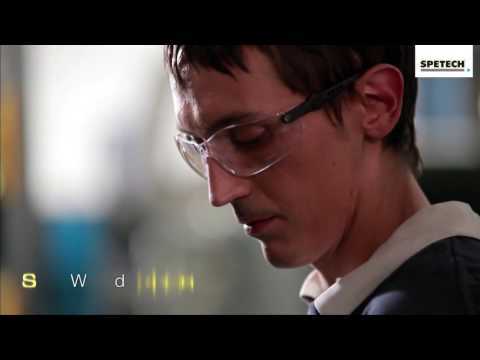 Easiest solution either concerning material consumption and manufacturing cost. Inside weld seams are the only available option (errors on inside joint welding are difficult to repair). Any customised dimensions also available. Rewelding: can be re-welded up to 5 times, material loss ~3mm each. Radial compensation up to 0.3mm. This solution is technically based on idea similar to what is in RM 1 case but both outside weld seams/ inside weld seams option is available which facilitate installation. 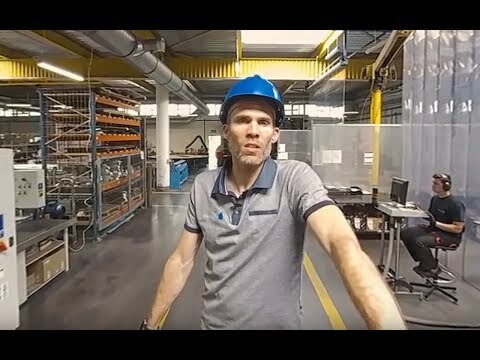 Customised construction of SPETORING® RM 2 are available – starting from this profile all profiles with outside weld seam can be deliver with partitions. Rewelding up to 5times (3mm each loss). Please not the radial compensation is only like 0.1mm. First of hollow lip weld-ring seals solution. 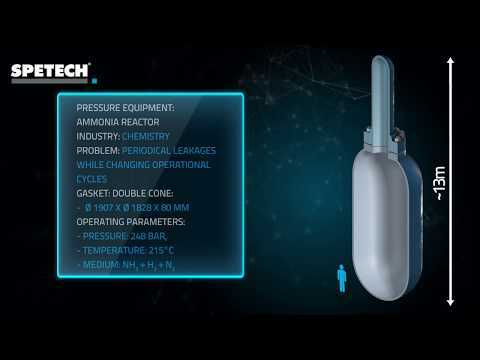 It performs more thermal and pressure shock resistance compare to RM 1 and RM 2. But the ‘membrane’ effect is yet not that visible as the hollow lip small dimensions. Customize cross-sections and partitions available. Outside weld seams available but as all this construction is strongly determined by existing limitations (not enough space between flanges for RM 5 and existing redial movements of the joint deserving the hollow-lip solution) the access to outside seam is difficult, which effect request of high performance in welding process. The SPETORING® RM 3 is Weld Ring Seal is possible to be installed for application with bars (partitions). However re-welding is possible approx. 2-3times. Radial compensation up to 0.5mm. Full size hollow lip weld-ring gasket (inside weld seam only available to flanges). Advanced construction recommended especially for large diameter joints. SPETORING® RM 4 is capable to compensate great axial and radial differential expansions; extremely resistant to thermal and pressure shocks. The inside weld seam sometimes is a great advantage as prevent from crevice corrosion in compare to outside seam solution. If crevice corrosion is an important issue – than auxiliary inside seal should also be used. Typical thickness is 2x15mm (30mm for full seal). 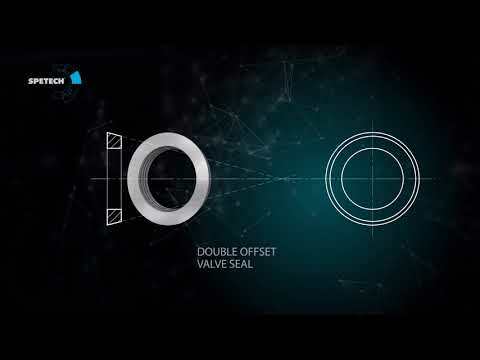 Customised crosssection and diameters are available (which allows to install this adopted/ customized weld ring seal using existing flanges with shapes ready for other types of seals: spigot recess, delta shape, double cone, etc...). Rewelding up to 4times (easy to dismantle with 2mm cut-off disc). Radial compensation up to 5.0mm. Full size hollow lip weld-ring gasket (outside weld seam possible). Most advanced construction recommended especially for large flanges and joints equipped in any partitions requested ! Capable to compensate great an axial and radial differential expansions; extremely resistant to thermal and pressure shocks. In SPETORING® RM 5 customised cross-section and diameters are available (which allows to install this adopted/ customized weld ring seal using existing flanges with shapes ready for other types of seals: spigot recess, delta shape, double cone, etc...). This Weld Ring Seal is possible to be installed for application with bars (partitions). Rewelding up to 4times (easy to dismantle with 2mm cut-off disc) can be re-welded 2 to 4 times. Radial compensation up to 5.0mm. Full size hollow lip weld-ring gasket (inside weld seam only available to flanges). Special construction recommended especially for joints which cannot be spreaded to allow installation of typical R-M 4 seal. Similar to above R-M 4 and R-M 5 models SPETORING® R-M 6 is capable to compensate axial and radial differential expansions, also being extremely resistant to thermal and pressure shocks. Typical thickness is 2x15mm (30mm for full seal). 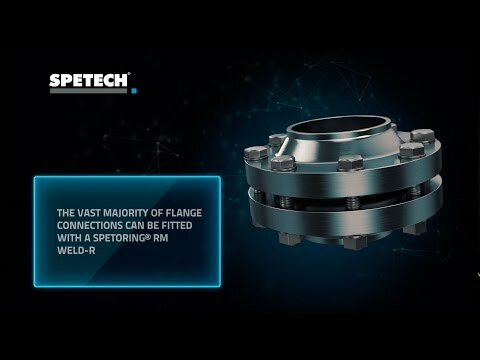 However because of special contruction of SPETORING® R-M 6 flanges need only to be speeded about 10mm away (instead of 30mm at standard R-M 4 solution). All the other parameter as in R-M 4 case. Auxiliary weld-ring gasket in different styles: – installed either in groove closed from 4sides (Dryflex, Convex, Kammprofile, Spiral Wound, o-ring); – installed in groove closed from 3sides (Dryflex, Convex, Kammprofile, o-ring); – sealing profile (Dryflex, Convex, Kammprofile) machined on the weld ring surface. The following function of auxiliary gasket: – preventing crevice corrosion (inside weld seam solutions case); – hydraulic pressure test performed using this spare gasket, than final welding or repeat dismantling option; – auxiliary gasket is used as reliable primary operational seal and the weld ring additional prevention seal if the primary one will fail. Many other customized solutions of Weld Rings are available on request. 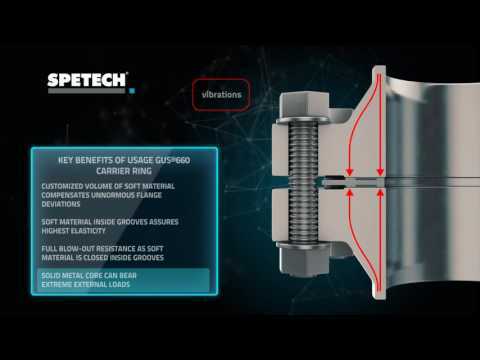 Spetech can provide Weld Rings dedicated to existing geometry of flanges (tongue – groove, male – female, flat-groove, others). This mean no need of hard modifications of existing flanges is required. Another special solution is installation of Weld Rings set instead pair of 2 flat gaskets divided by Tube Sheet. Flat gaskets in such type of applications are especially trouble making, because 1 set of long bolts is responsible to secure tightness (and generate necessary surface stress) of 2 flat gaskets. Many other customized solutions of Weld Rings which fit to specific customers need are available on request.